Kelly Campbell owned an award-winning digital marketing agency for 14 years in New York, successfully selling and exiting her firm in 2016. Since then, she’s been consulting with creative + tech agencies across the country to help them transform—by focusing on people, positioning, pipeline and profitability. 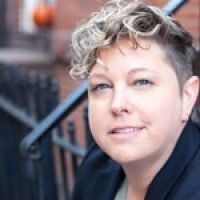 She’s a consultant to Facebook and NASA, and she hosts THRIVE: Your Agency Resource, a bi-weekly video podcast sponsored by Workamajig that helps agency owners navigate growth.